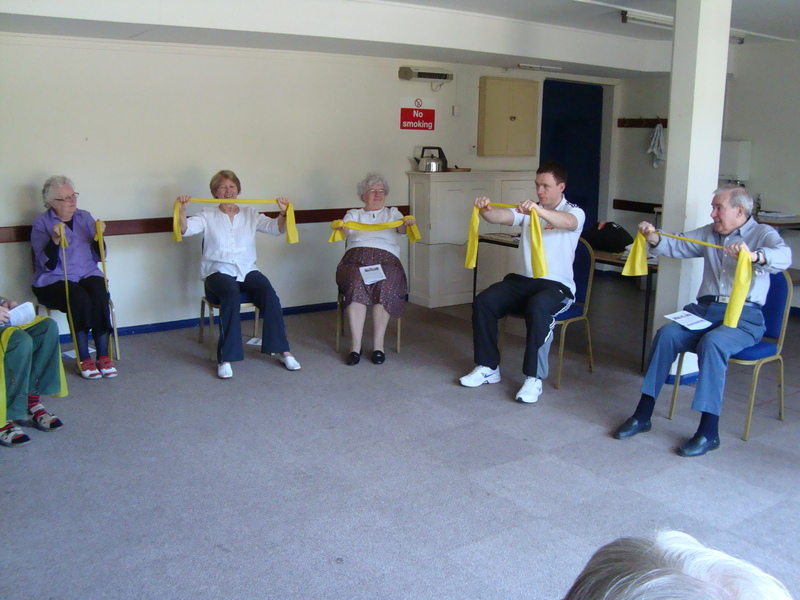 The inaugural session of the Oxton Chair Based Exercise class got underway in late March thanks to the generosity of Newark and Sherwood County Council. An encouraging number of Oxton residents attended, namely 10 hardy ‘keep fitters’. Our thanks go to Stuart Green, the Sports and Exercise Officer, who arranged it on our behalf. However, unfortunately for us, he has emigrated to Melbourne, Australia to take up a similar position. We wished him all the best and bon voyage on his new venture. I have booked onto a course to train as a Leader, with Newark and Sherwood, which will enable me to take the classes. This does depend on me getting appropriate funding as these classes come with a fee paying requirement. The Leader classes start at the end of April 2012 and would take approx 10 days in total. If successful I’ll contact the the Oxton ‘class’ and post notices in the usual places to see if any one else is interested. Keep up the Leadership training Roy, the less able villagers need your input.